The all-new Roy Emerson Tennis Centre continues the fine tradition of the Milton Tennis Centre. The Milton Tennis Centre at Frew Park, Milton Rd was the home of Queensland tennis from 1915 and consisted of 19 hard courts and four grass courts. It hosted eight Australian Championships/Opens and 16 Davis Cup ties (including three finals). Apart from tennis it also hosted concerts featuring acts such as the Rolling Stones, Elton John and Johnny Cash and 10,000 fans witnessed Jeff White retain his national lightweight title against Lionel Rose in 1971. The Milton courts were converted into Australia’s major tennis centre for the Davis Cup final in 1958 and were the venue for the first Australian Open in 1969. On November 29, 2014 the rebirth of Frew Park was completed courtesy of a $12m investment by the Brisbane City Council that has seen the site transform into a sporting and cultural hub servicing the inner city residents. The park contains open spaces, BBQ's, a commercial tennis centre, parking, kiosk and amenities. Tennis Gear Australia is the operator of the Roy Emerson Tennis Centre. 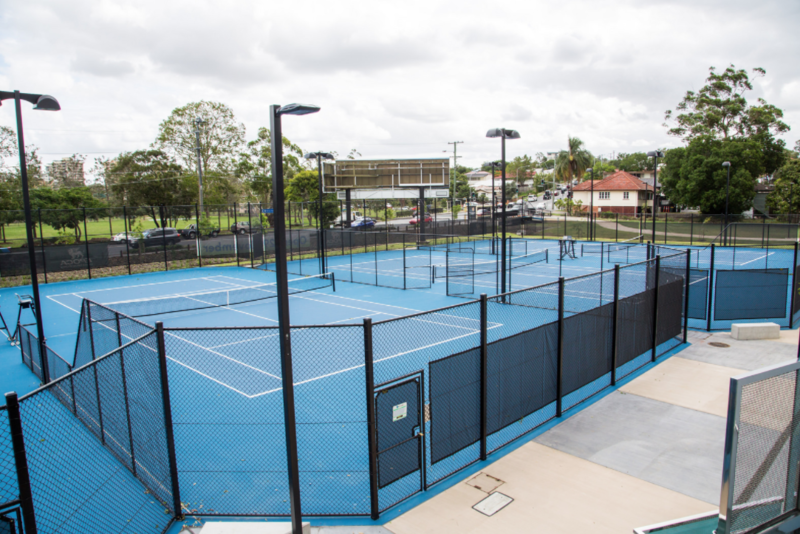 Tennis Gear provides the local community with access to a huge range of tennis programs including Court Hire, Tennis Coaching, Hot Shots Lessons, Cardio Tennis, Social Tennis and Tennis Brisbane Fixtures to name a few. Tennis Gear also manages Morningside Tennis Centre, Shaw Park Tennis Centre and Playford City Tennis Centre.